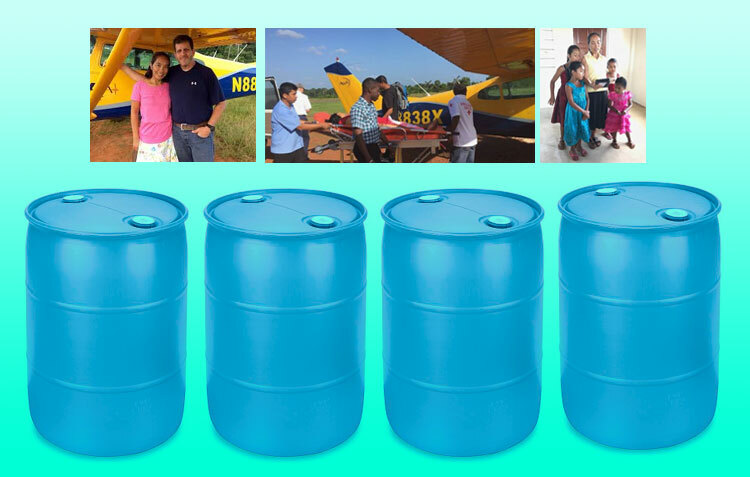 Corrales Church Fills Four Mission Barrels for Wings for Humanity Guyana Mission. Bruce and Monique Wilkerson, members of the Corrales Seventh-day Adventist Church in Corrales, NM, have served as project managers for Adventist World Aviation Wings for Humanity in Guyana since June 2015. Guyana, a country on South America’s North Atlantic coast, is defined by its dense rainforest. Despite Guyana’s economic assets of its natural resources, mainly its pristine rainforests, sugarcane plantations, rice fields, and bauxite and gold reserves, it remains one of the poorest countries in South America. Bruce and Monique have a passion to educate people in the way of the Lord and bring them to a real and meaningful relationship with Jesus. Part of this mission is to provide items such as Bibles, clothing, soccer or volley balls and some food items to the most remote areas of Guyana. Corrales Church supports Bruce and Monique’s mission in a number of ways, one of which is filling mission barrels with needed items. Recently Corrales Church’s commitment of supporting this valuable ministry in Guyana was fulfilled by filling four barrels with needed items. The shipping date for the barrels is September 17, 2018. Corrales Church is proud of Bruce and Monique’s commitment to this mission and continue to support them in any way possible.